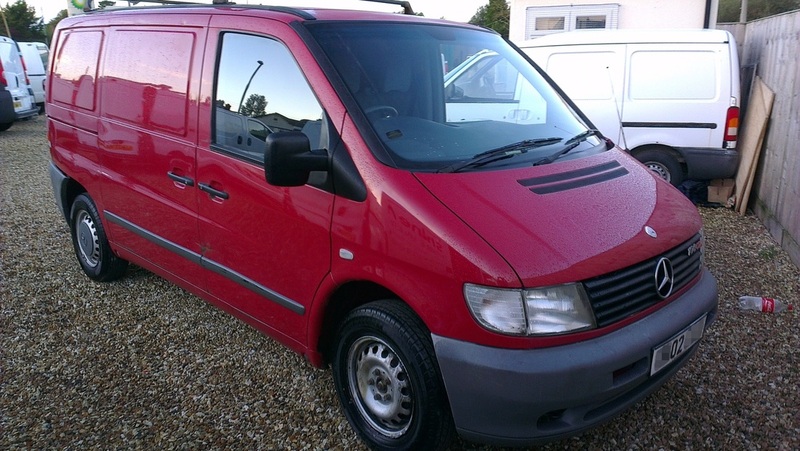 Our mobile valeting service doesn't just apply to cars, it applies to vans too. 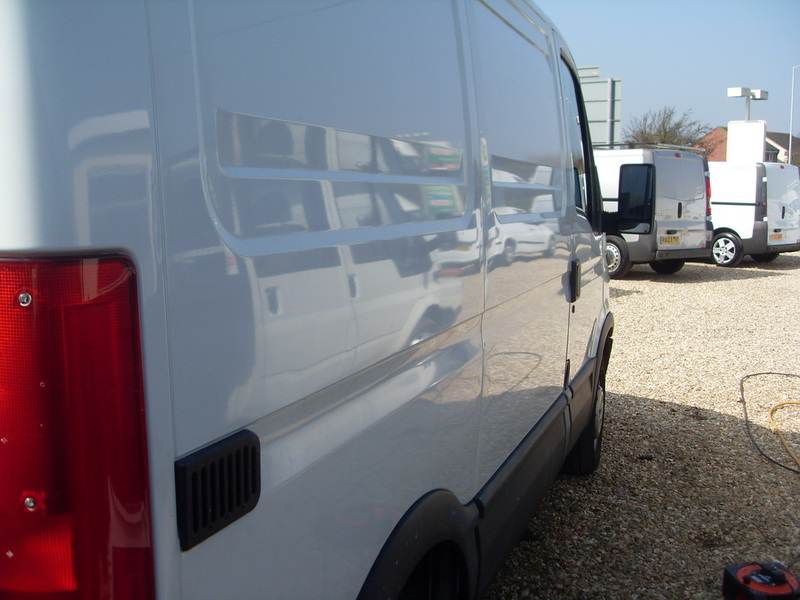 Whether you are keeping your van, selling your van, or just want to get it looking smart, we can valet them for you. Whether you have van for your company, or you are a sole trader with a van, Shine My Ride can provide a valeting service for you. Not only can we perform a valet to restore their appearance, we can also carry out regular maintenance valeting. 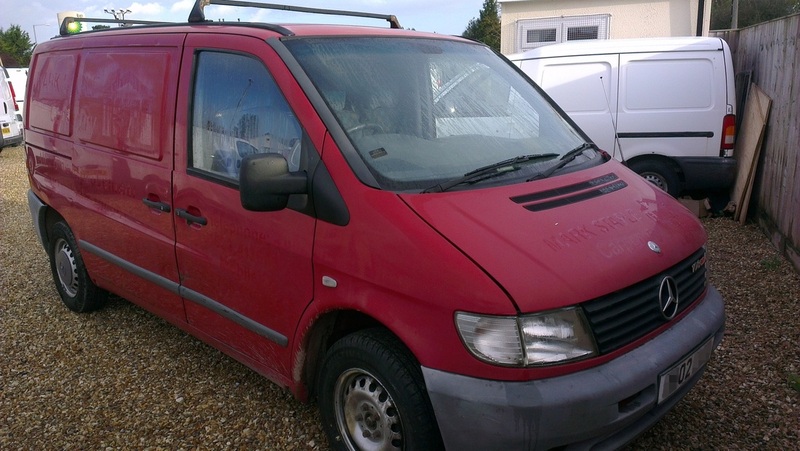 If you are looking to sell your van, then why not let us valet it for you? 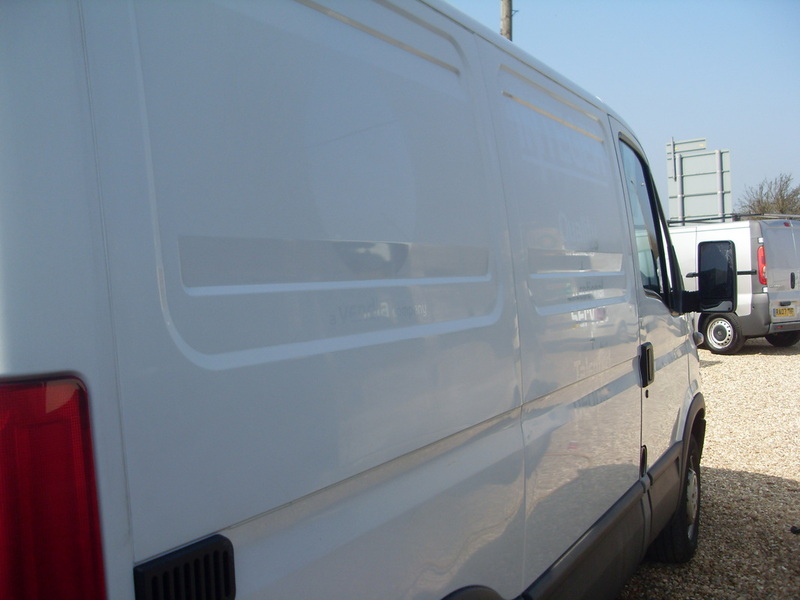 We valet to the same high standards as we valet cars, so that a potential buyer will be impressed by how clean the van looks. The picture left shows some of the paintwork on the Mercedes Vito above. Because the paint is single stage with no clearcoat, unprotected paint will oxidise, looking dull and flat. As you can see from the picture, by carrying out machine polishing, I can remove that dead paint, and then the restored shine can be protected with a wax or sealant. This can take multiple sets of machine polishing to fully remove the oxidisation, as in this case. After some considerable time was spent on this vehicle, we were able to make a substantial difference to both the interior and exterior of this vehicle, enabling the vehicle to quickly find a new owner. Please contact us if you would like to explore the options available.